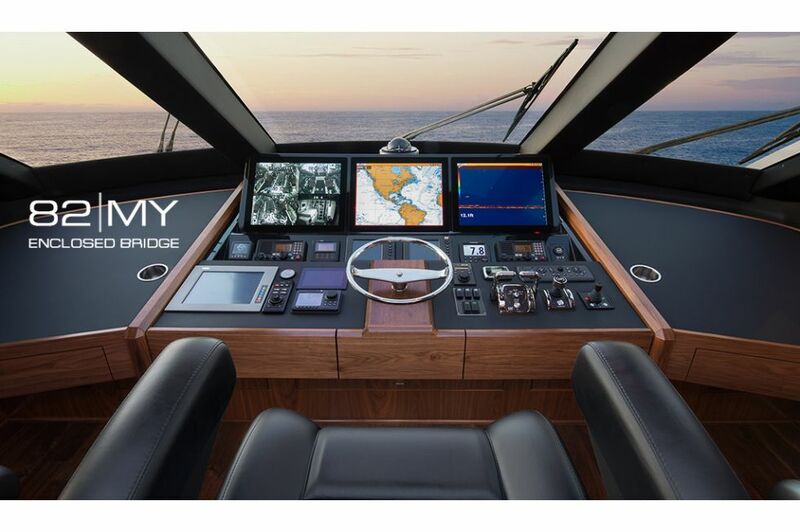 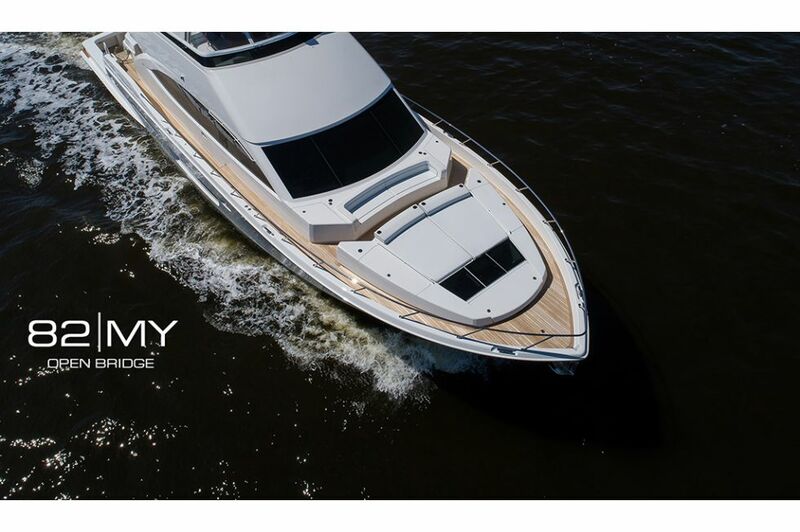 Viking has led the industry in both sportfish and motor yacht design for 50-plus years, so it's no surprise that we've raised the boatbuilding bar again for luxury and seagoing excellence with the 82 Cockpit Motor Yacht, offered with either an open or enclosed bridge. 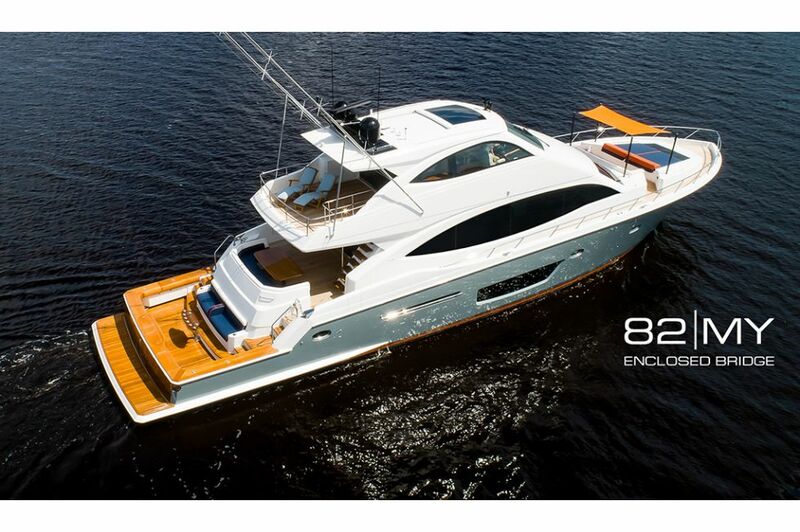 The Viking 82 MY seamlessly transitions from an opulent cruiser to a blue-water yacht fisherman, creating the ideal platform for tournament fishing one day and heading on a three-week vacation the next. 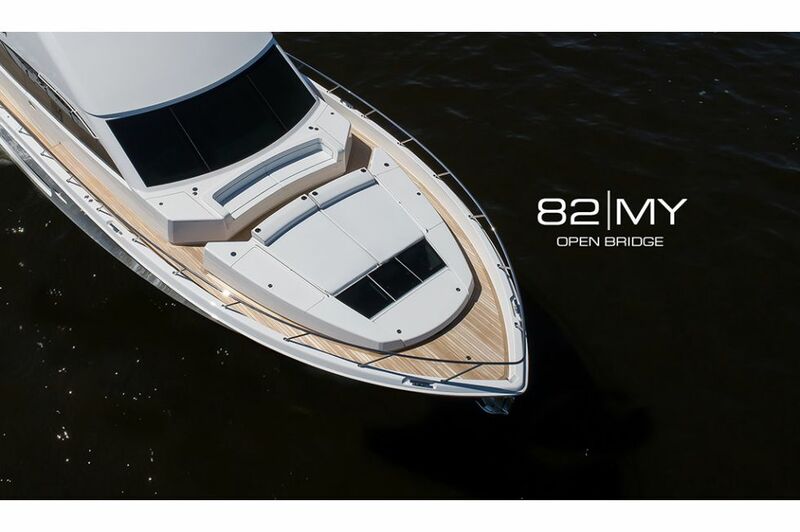 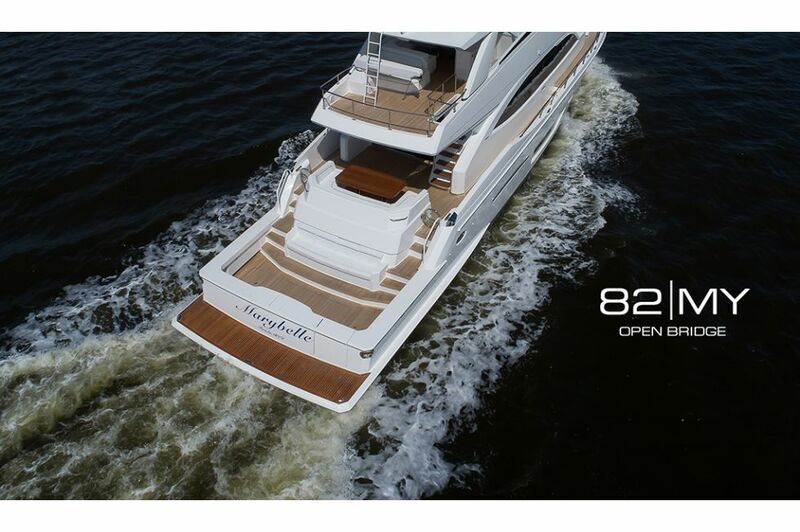 With the cockpit space of a large convertible, the 82 MY has the real estate you and your comrades will need to fish all day long. 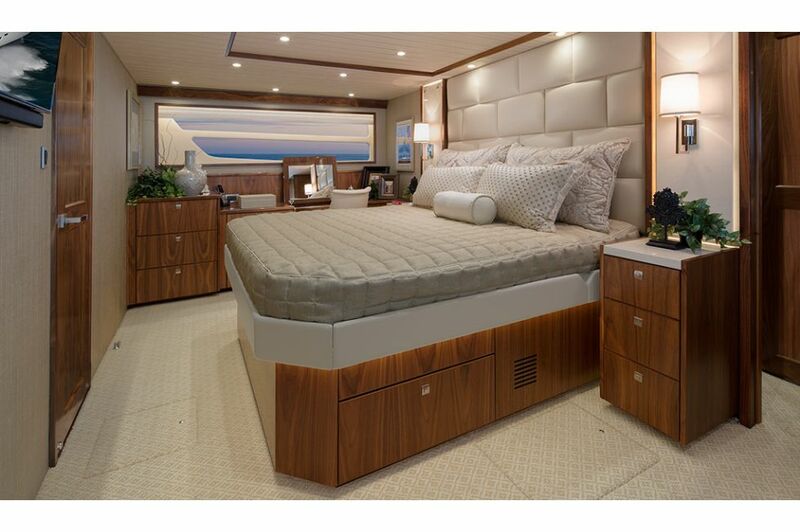 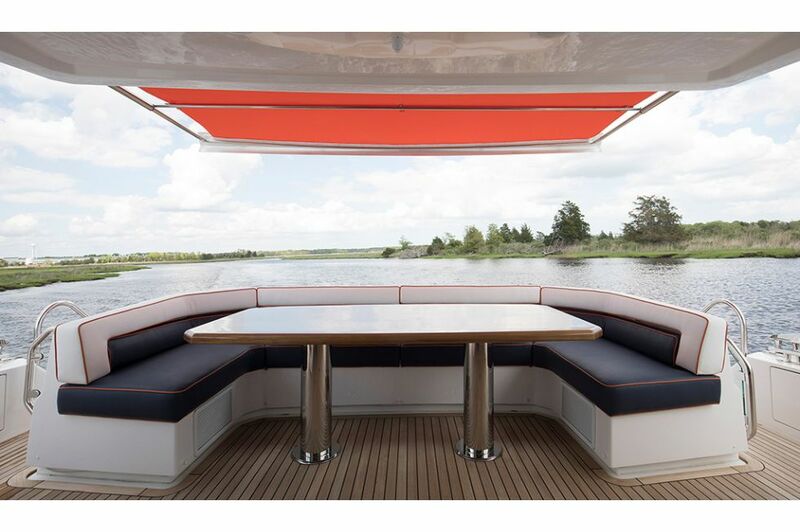 There's plenty of room for relaxing, too, in this versatile deck design that features an observation mezzanine and aft-deck dinette with U-shaped settee. 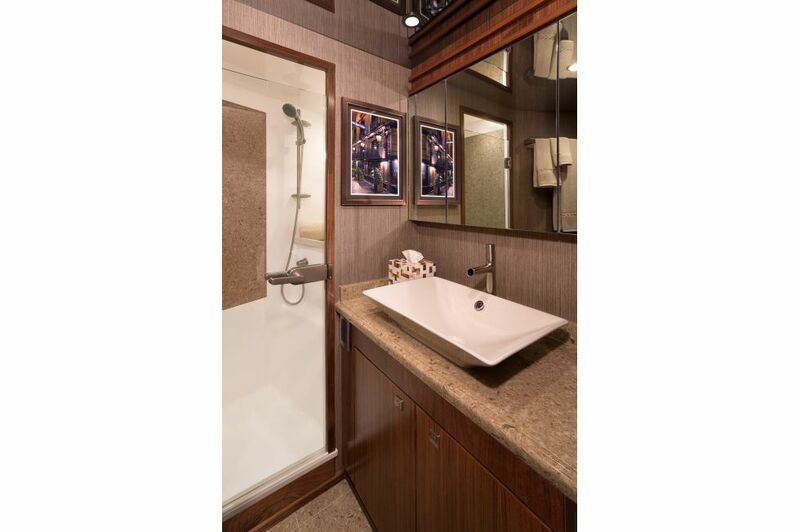 The nine-foot wide lounge molded into the mezzanine features a trove of useful amenities. 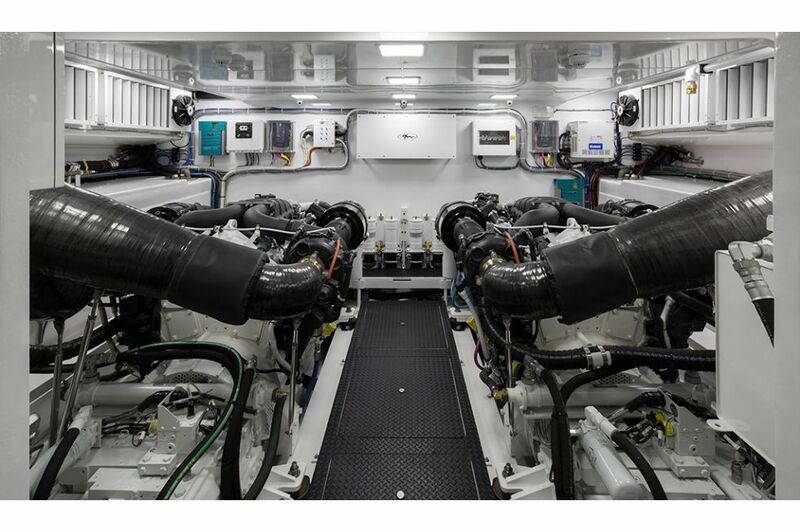 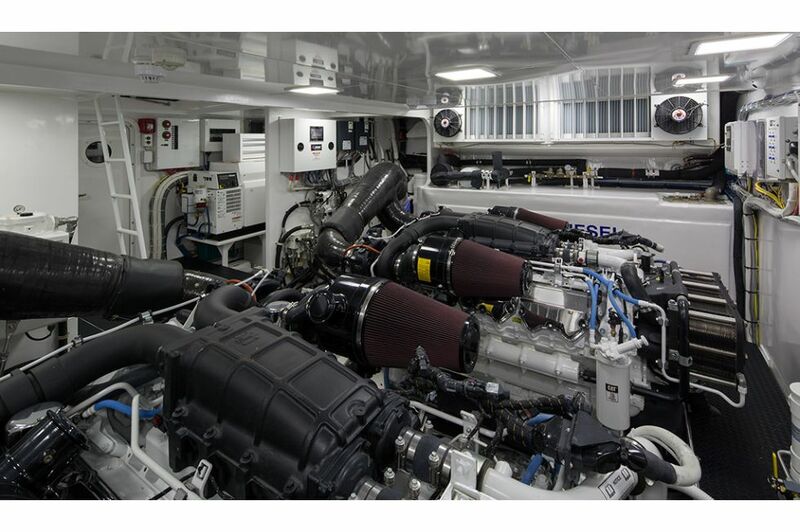 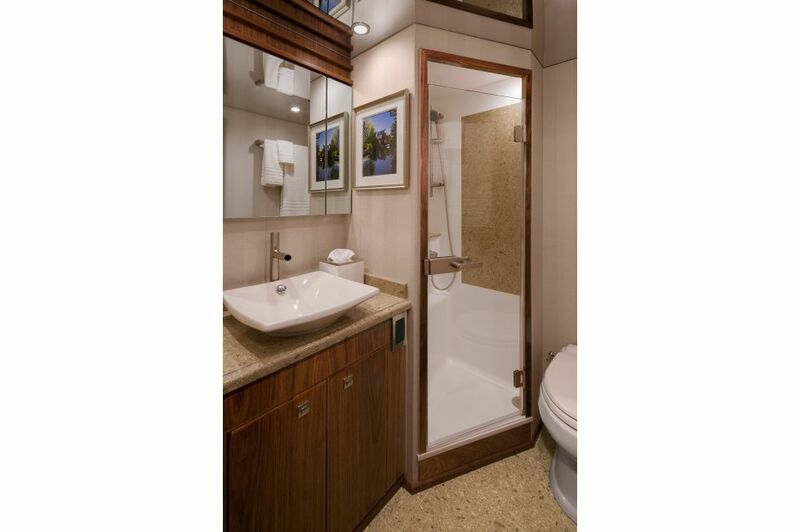 Port and starboard stowage compartments serve as tackle and gear wells. 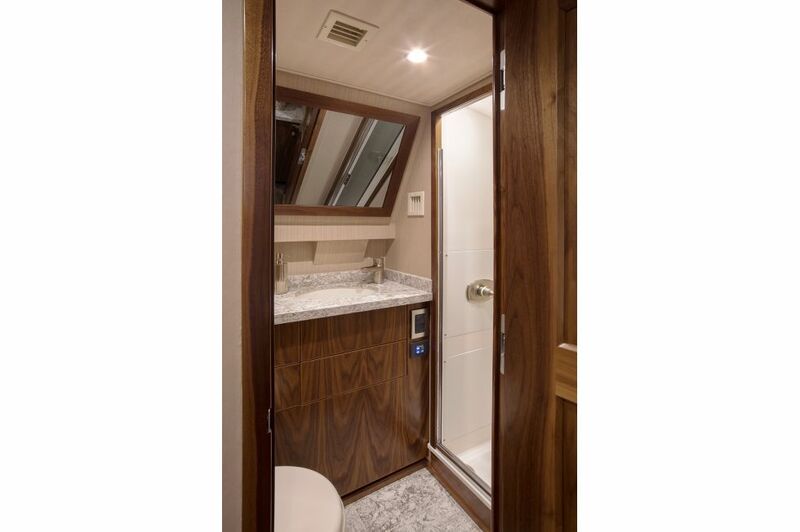 An engineroom access door is built into the mezzanine backrest. 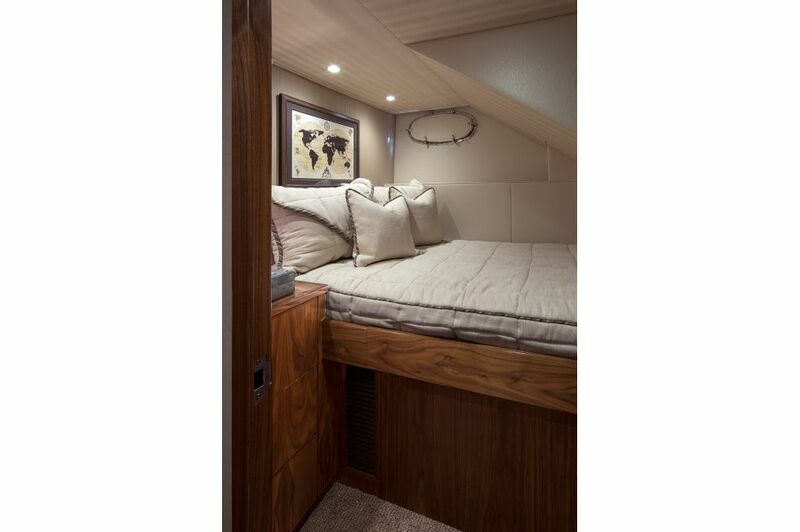 A companionway leads into the crew quarters. 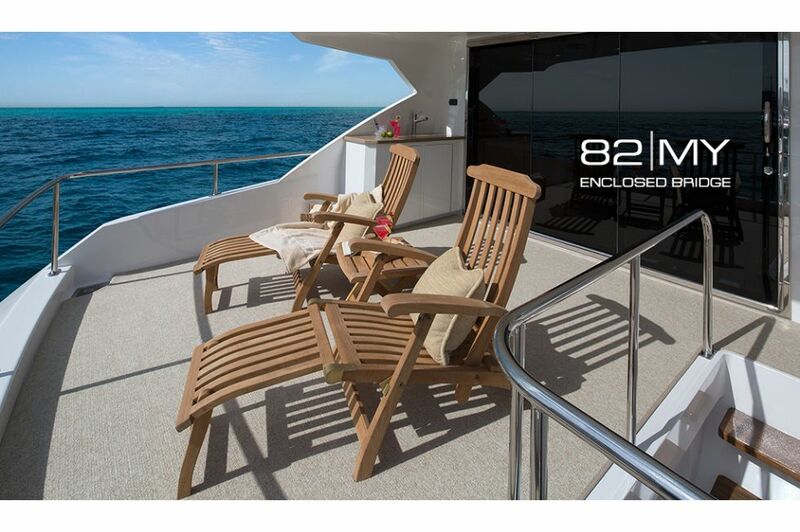 Chill boxes for drinks and bait are located in the port and starboard staircases. 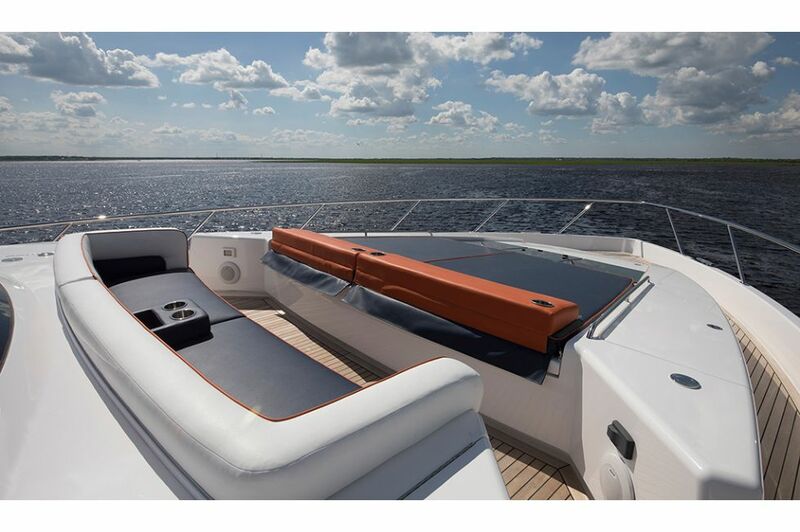 A molded transom fishbox doubles as a convenient stowage bin for masks, fins and other gear. 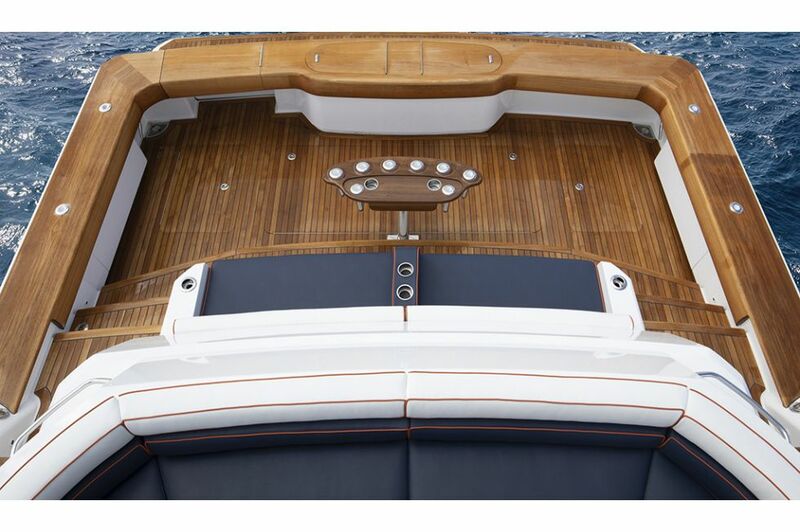 A walk-through transom door with a lift gate complements the molded teak-planked swim platform. 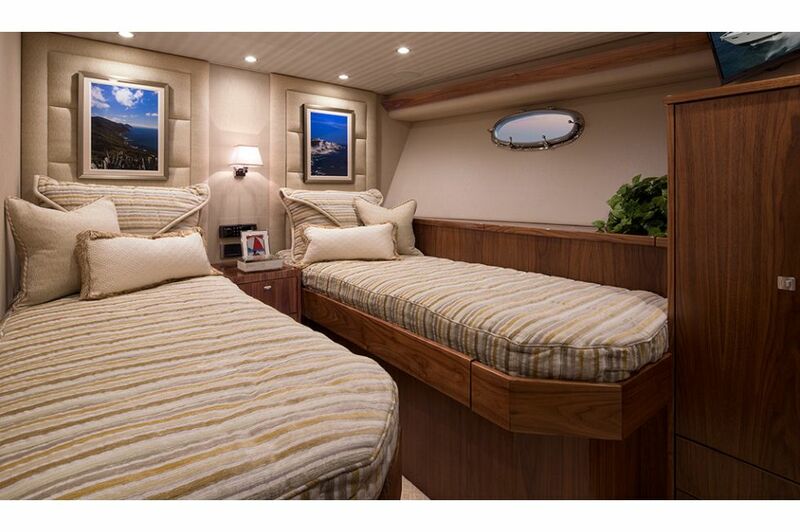 On the main deck, styling merges with sociability. 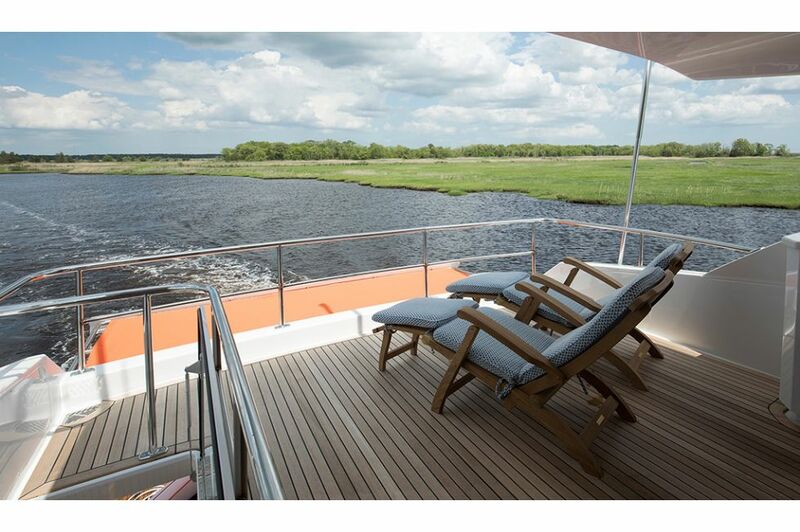 Forward and aft deck lounges capture the outdoor spirit. 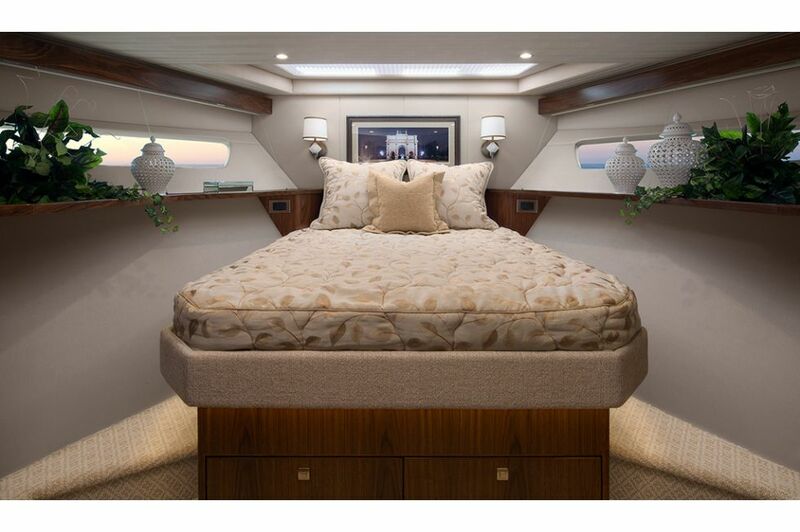 Inside the yacht, eight tons of chilled-water air conditioning provide a climate-controlled environment where a lavish walnut salon, formal and casual dining areas, and a world-class galley set a festive mood. 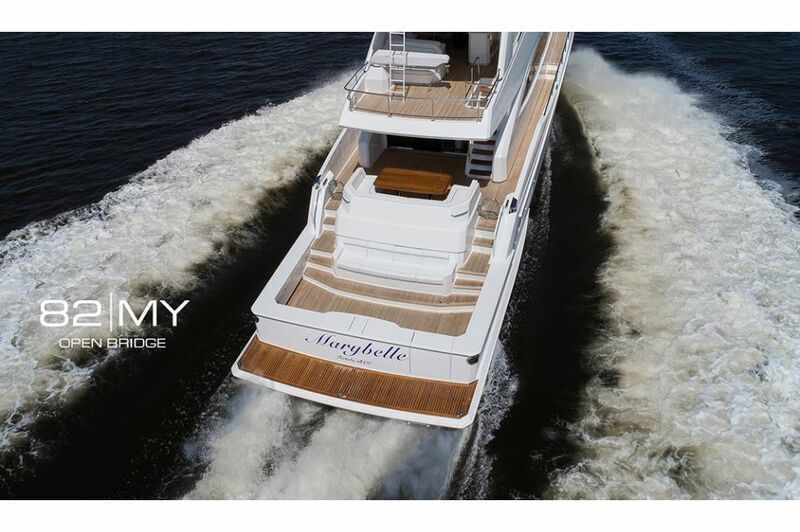 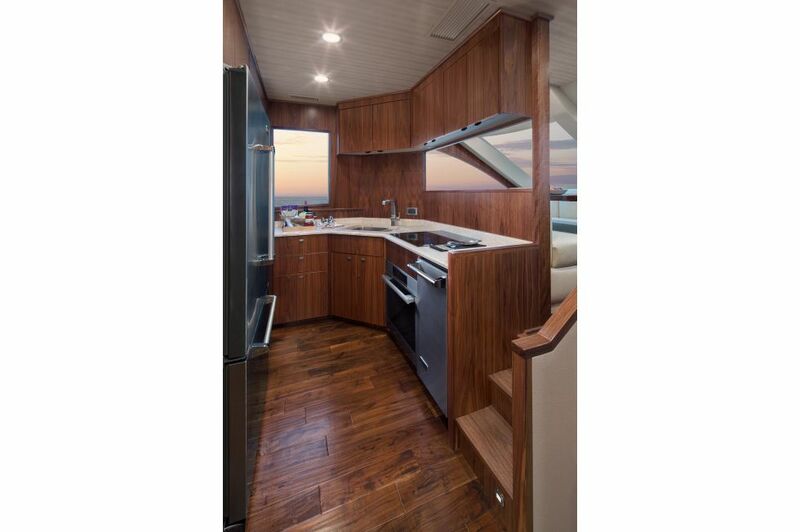 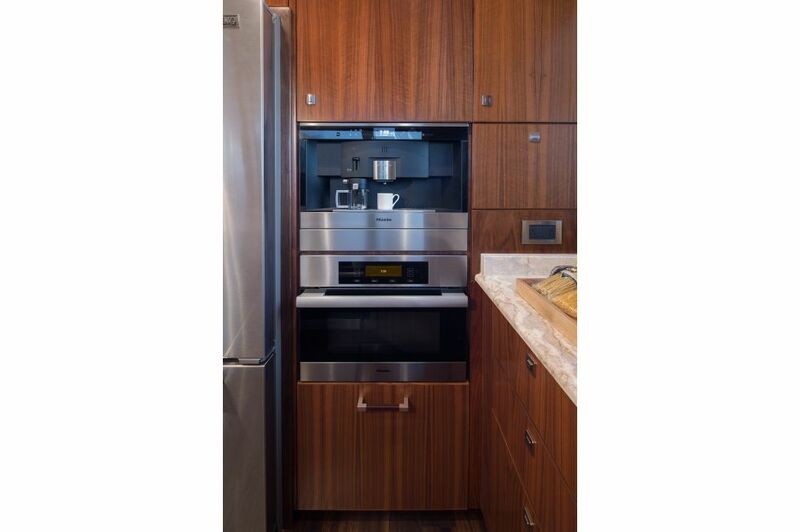 Engineered-stone countertops, under-counter refrigerator (2) and freezer (1) units, high-gloss walnut cabinetry and a starboard-side pantry are some of the standard amenities in the low-profile open galley. 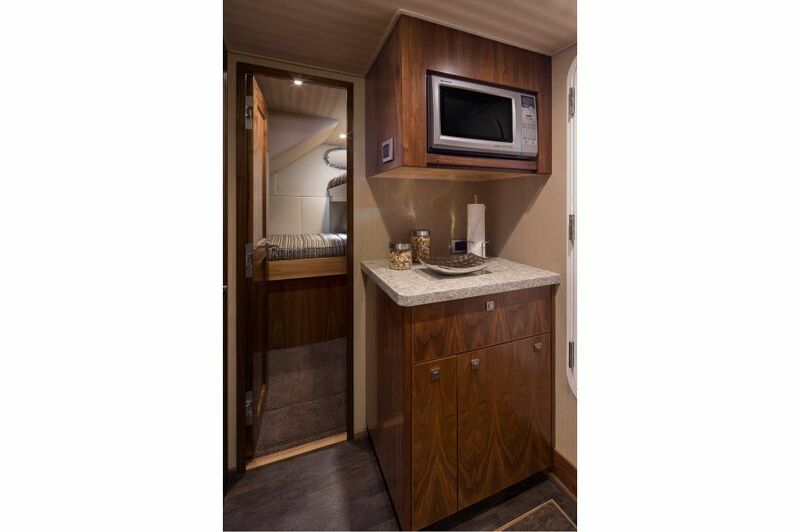 We also offer a closed galley design. 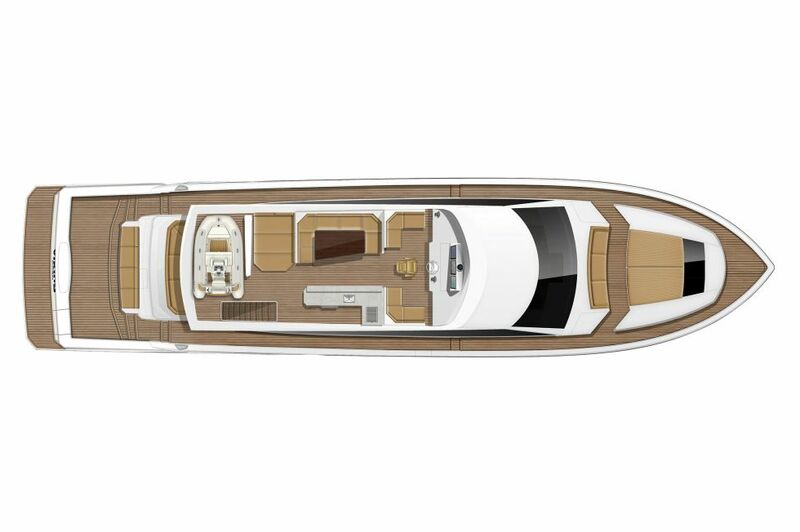 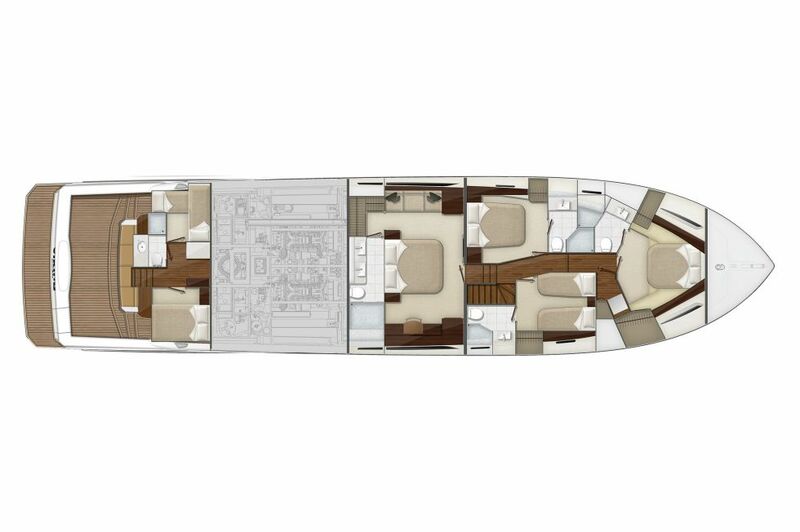 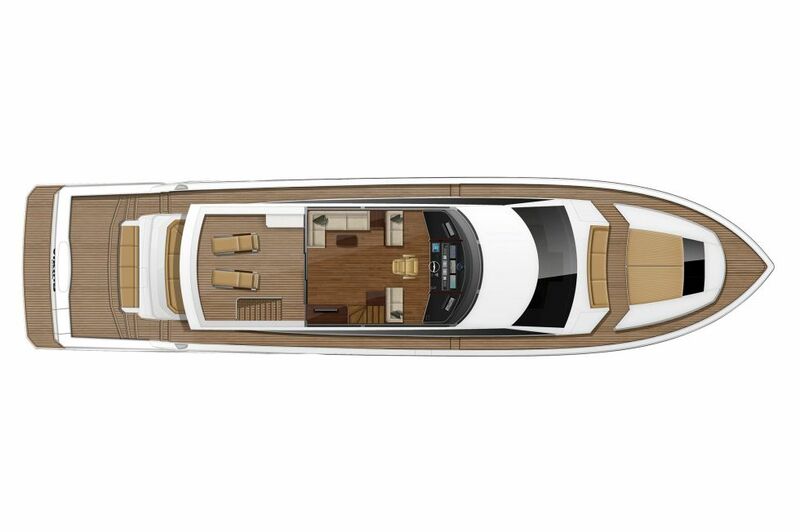 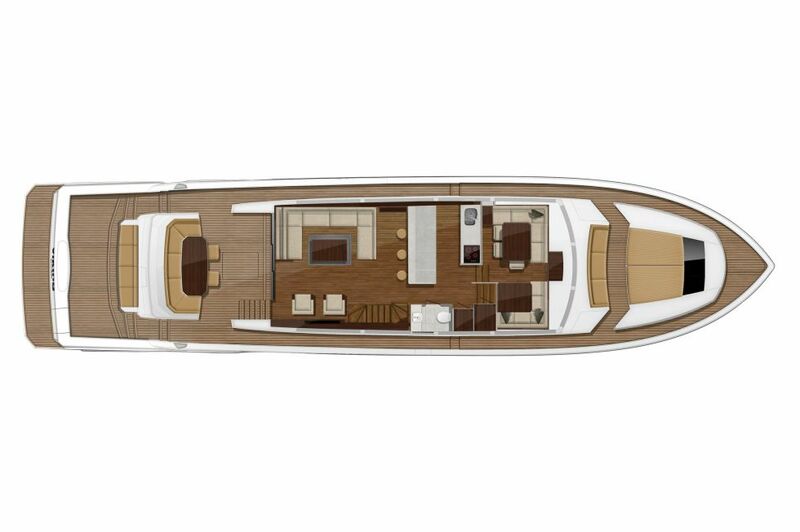 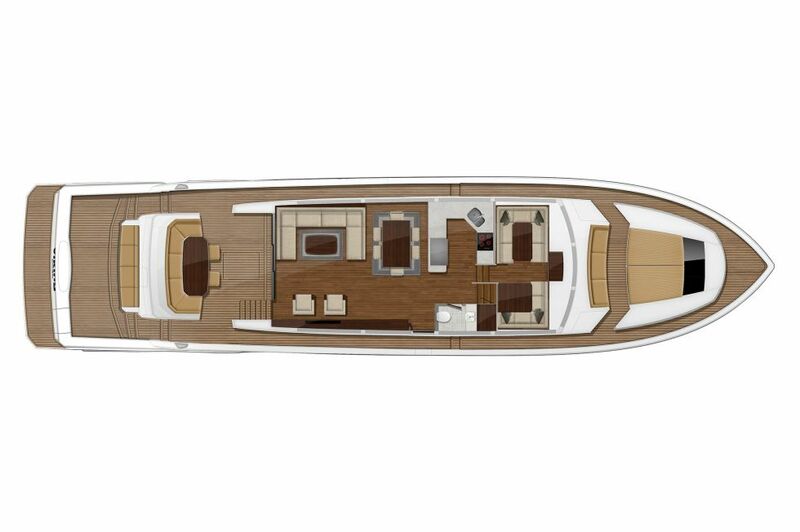 The open bridge layout is all about the great outdoors with a centerline helm forward flanked with casual seating areas. 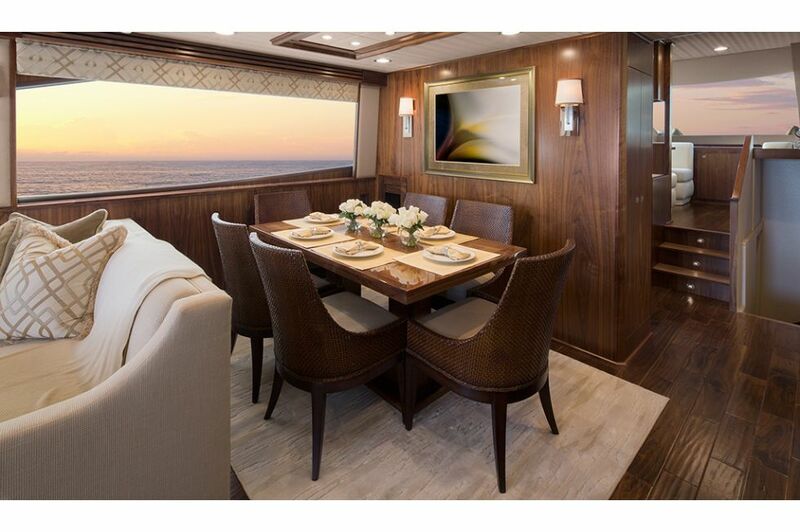 Abaft the helm, a family size dinette, and a wet bar with refrigeration, a sink and an electric grill get the party started. 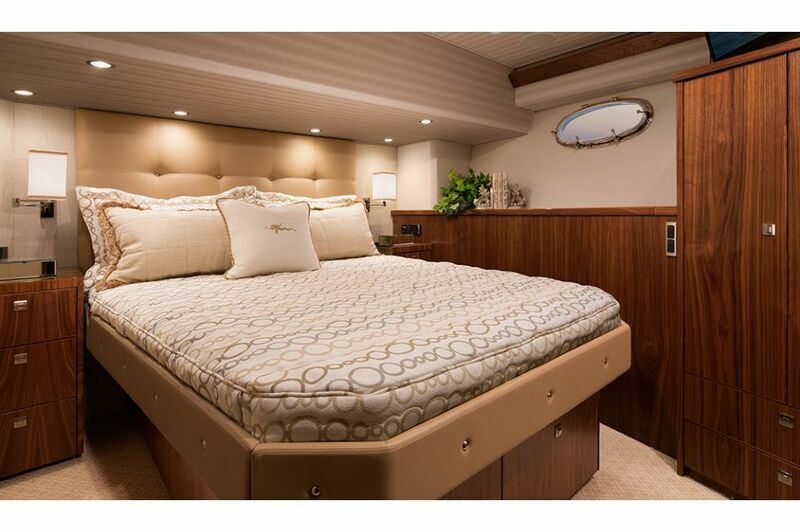 Farther aft there is a sun pad, room for lounge chairs, and a teak planked staircase to the lower after deck. 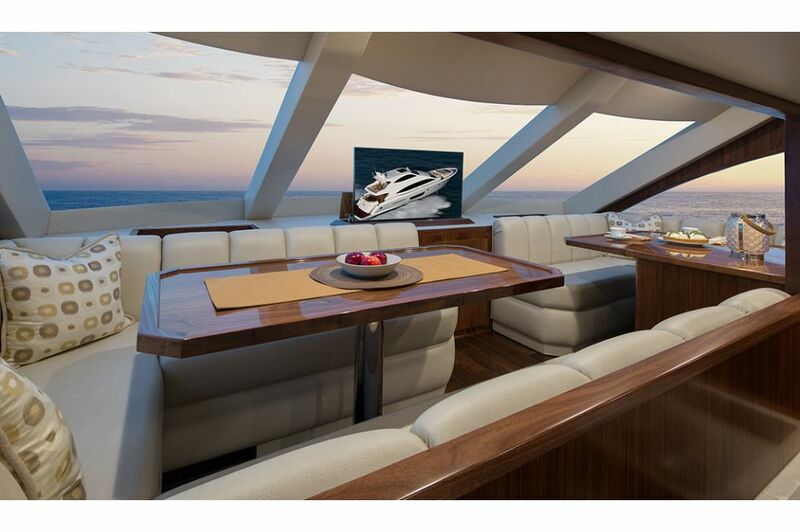 The climate-controlled enclosed bridge gives you the convenience of a second salon, with plush seating and an entertainment center, and the utility of an upper command station with full weather protection. 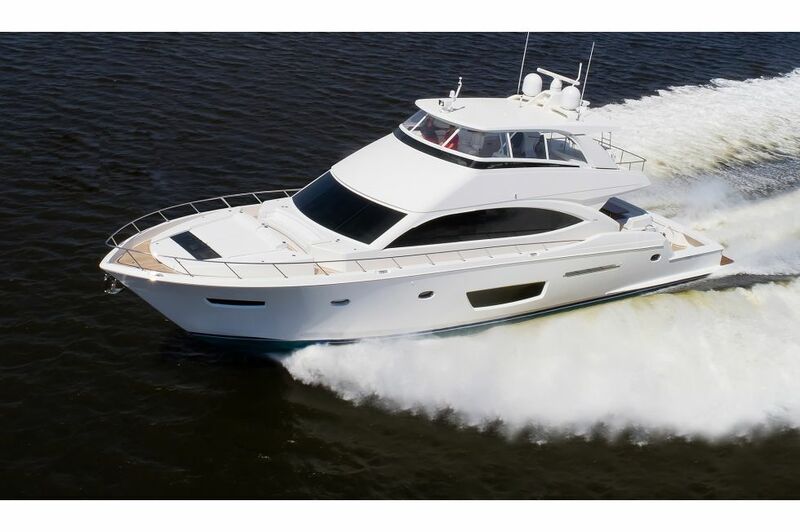 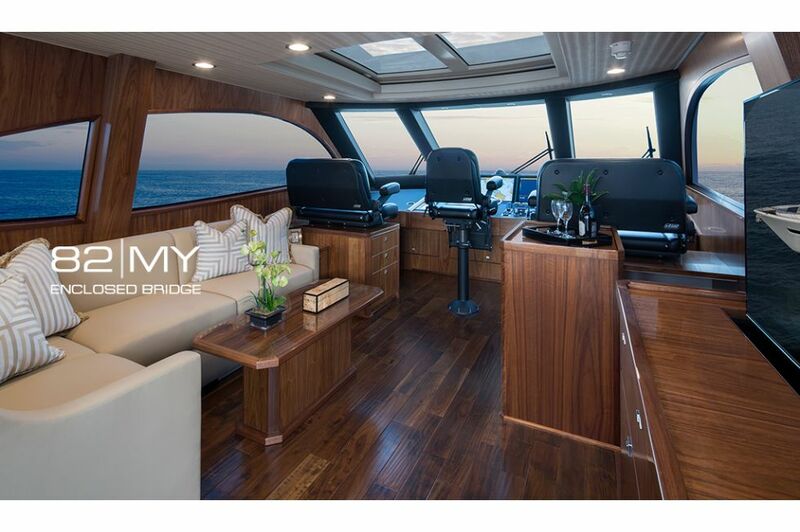 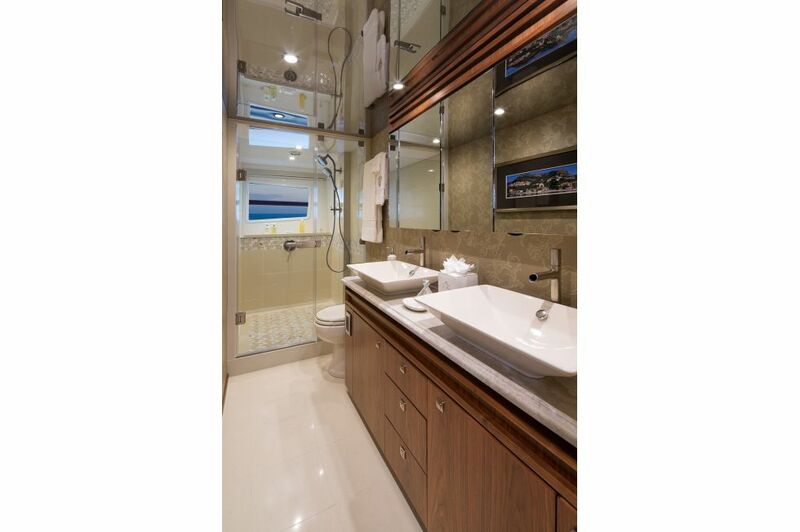 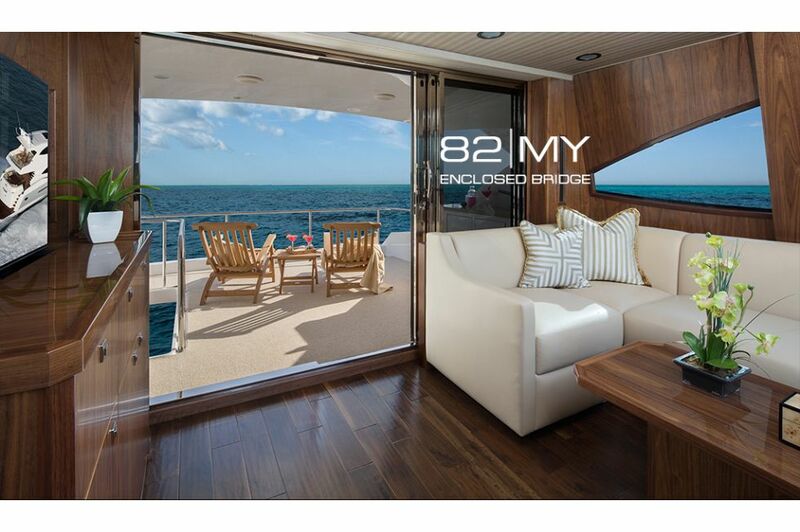 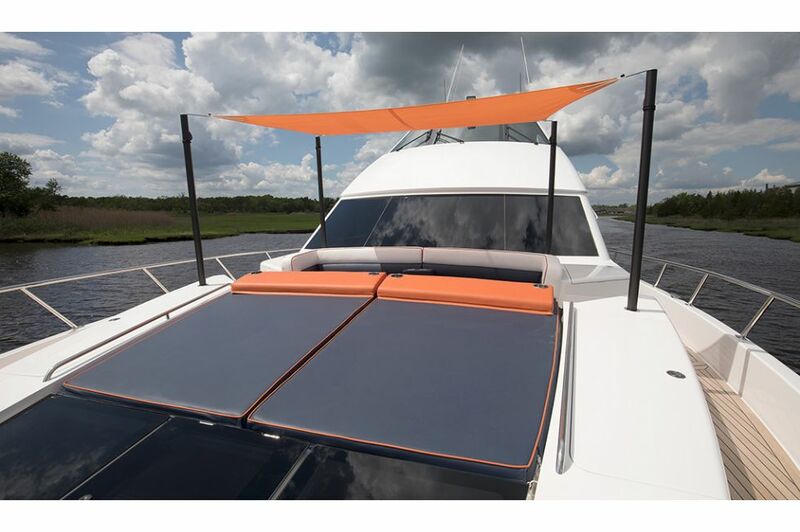 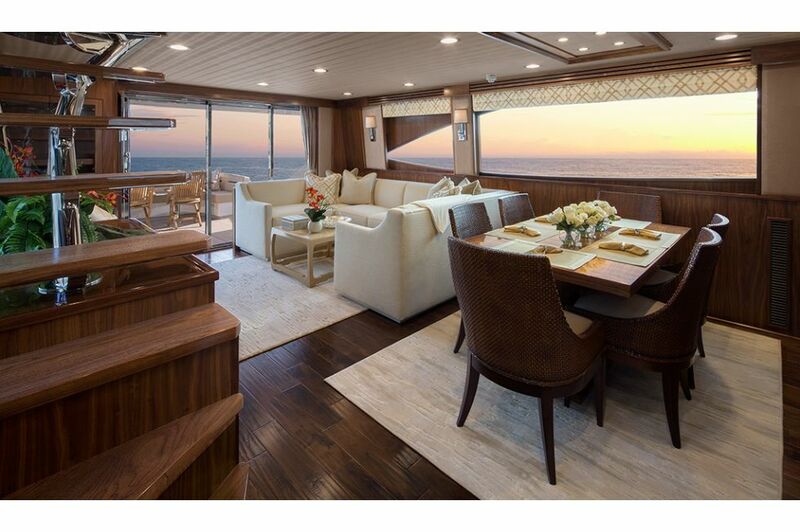 A sliding glass door opens to the aft deck with available lounges and a wet bar.